Reducing the billions of dollars of inefficiency-waste that is ingrained in the production chain of our apparel and footwear industry requires more than just short-term patchwork remedies. 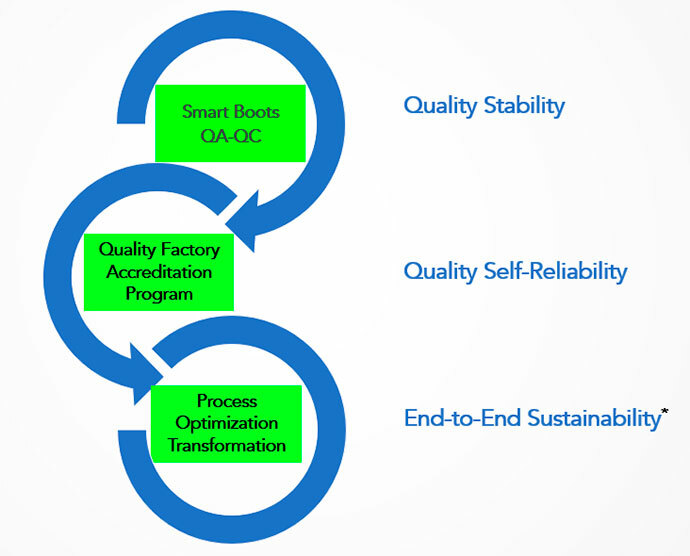 Learn how to build and maintain a 3S eDemand-Chain that delivers permanent stability, self-reliability and sustainability, while significantly improving quality, speed, flexibility, and costs. ® 2010 - 2018 Impactiva S. de R. L.